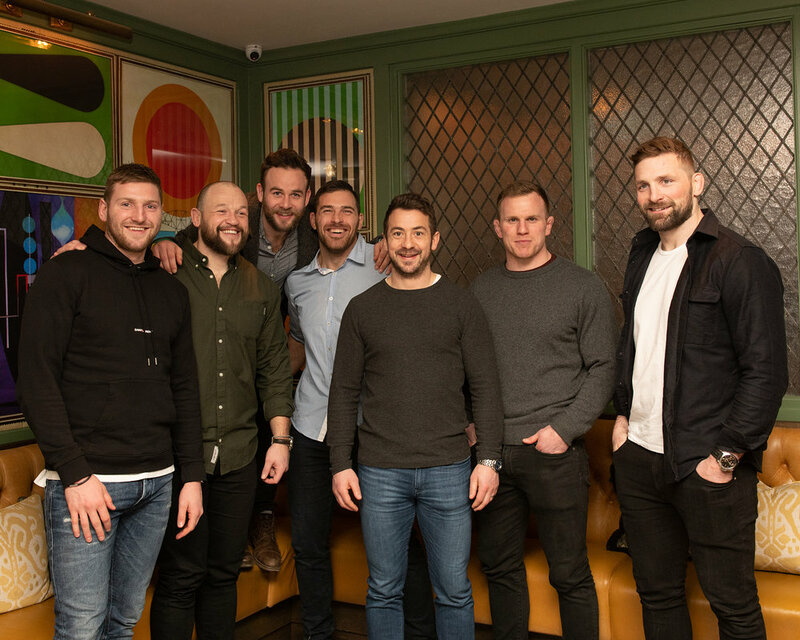 From left to right: Scottish Rugby players Finn Russell, Ryan Grant, Ruaridh Jackson, Sean Lamont, Greig Laidlaw, Chris Fusaro, John Barclay. Taken at The Ivy on the Square. 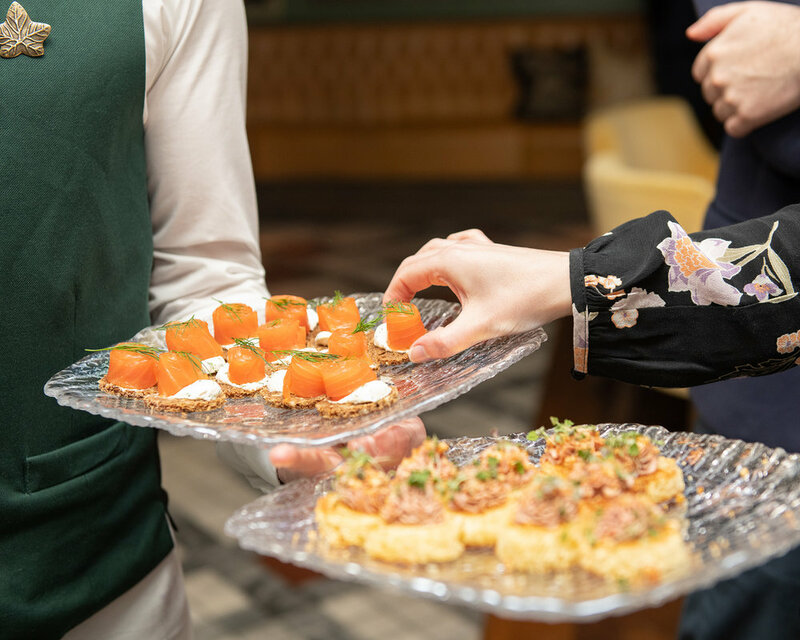 Edinburgh’s The Ivy on the Square celebrated the start of Six Nations season in style last night (Wednesday, January 30), and Hood was lucky enough to bag an invite to the exclusive launch party. Guests enjoyed cocktails inspired by each nation taking part in the rugby tournament, available at the restaurant between 1 February and 16 March. The limited-edition cocktails have been specially created in collaboration with the Garden Shed Drinks Company, an environmentally-friendly Scottish gin distillery co-founded by Scottish Rugby professional Ruaridh Jackson and former Scottish international player Ryan Grant. We might be biased, but the Scottish Thistle, a zingy mix of Côte-Rôtie Aged Gin and Naked Grouse whisky with ginger, lemon and honey, was definitely our favourite of the night. Ivy on the Square customers can also enjoy an English Rose, French Iris, Welsh Daffodil, Irish Clover or Italian Lily cocktail, available exclusively at the St Andrew Square restaurant throughout the Six Nations tournament. From left to right: Ruaridh Jackson (Co-founder of The Garden Shed Drinks Company), Kirstin Jackson, Maxine Grant, Ryan Grant (Co-founder of The Garden Shed Drinks Company). Taken at The Ivy on the Square. 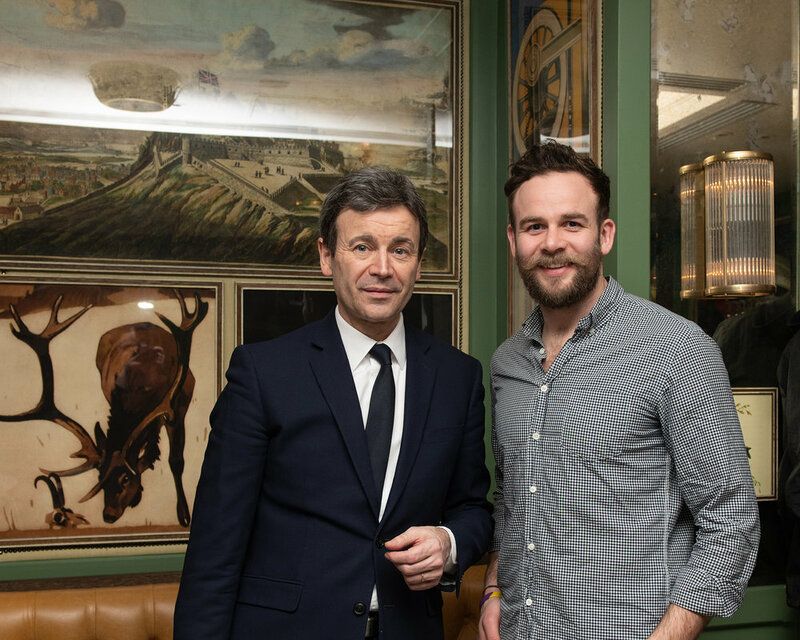 From left to right: GM of The Ivy on the Square, Eric Garnier and Ruaridh Jackson, Co-founder of The Garden Shed Drinks Company. Taken at The Ivy on the Square.